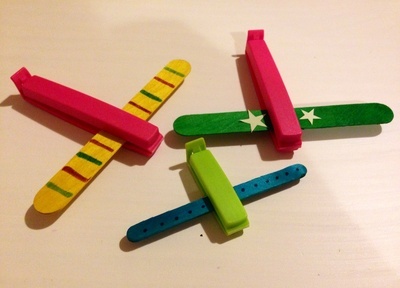 Here's a quick and easy craft idea for a rainy day - popsicle stick planes. 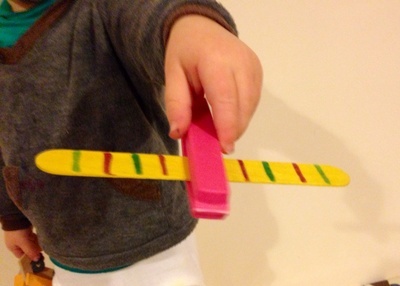 No preparation or cleaning up is needed and it's ideal for Under 5s. 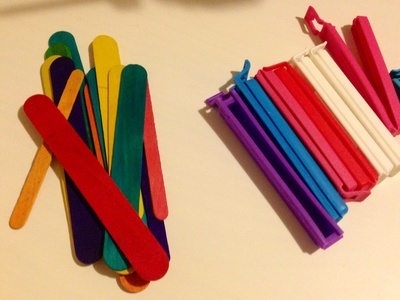 The jumbo size popsicle sticks are the right size for the larger kitchen clips whilst regular sized popsicle sticks are ideal for the mini sized kitchen clips. 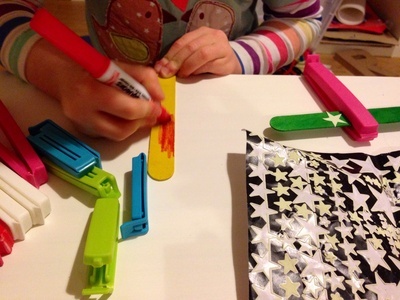 Decorate the popsicle sticks using pens, crayons or stickers. 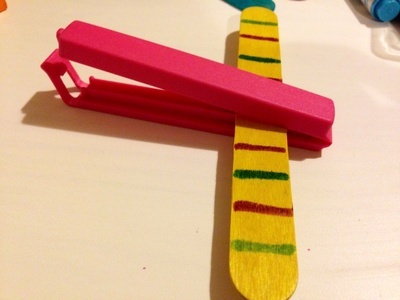 Clip a decorated popsicle stick into the kitchen clip. Make a whole fleet of planes. Your planes are now ready for take off! 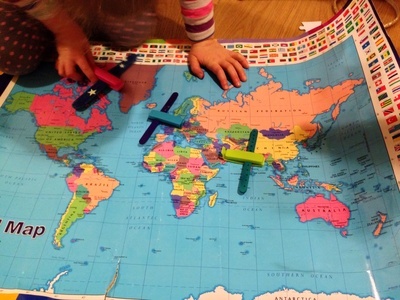 With preschoolers, try getting out a map and flying the planes between countries. It's a good way to learn the names of different countries and continents. You could make up stories about what the people on the planes are doing - for example, going on holidays, visiting grandparents etc.